The ongoing fourth ODI between India vs New Zealand at Hamilton is the 4090th One Day International ever played. The first ever ODI was played between England and Australia on 5th January 1971 at the Melbourne Cricket Ground. 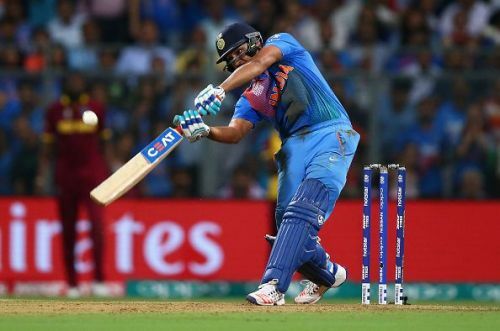 Since then, a total of 4090 ODIs have been played so far in 48 years at an average of 85 ODIs per year. In those 4090 matches, players of different eras from different countries under different conditions have played innumerable destructive innings which will forever be etched in the memory of cricket fans all over the world. Here is a list of 10 such destructive ODI innings of all time. In this match, Australia restricted Bangladesh to 229 for 7 in 50 overs. Australia opened the batting with Shane Watson and Brad Haddin. 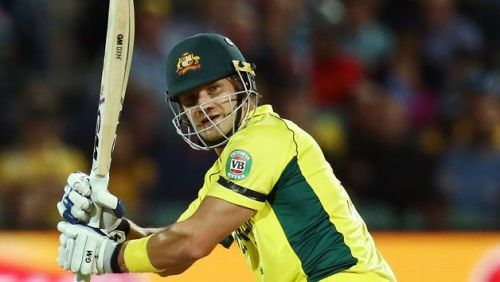 Shane Watson was in a destructive mood from the very first over when he hit 3 fours off fast bowler Shaiful Islam. To upset Watson’s rhythm, spinners Abdur Razzak and Shakib Al Hasan were brought on from the second and third over respectively. Watson went on a six-hitting spree against the spinners and reached his 50 off just 26 balls with 5 fours and 4 sixes. His innings was studded with his customary pull over mid-wicket for sixes. Watson was unstoppable as he reached his 6th ODI hundred off 69 balls with 11 fours and 6 sixes. He was dropped twice immediately thereafter. Watson celebrated his good fortunes by smashing Sohrawordi Shuvo for 4 consecutive sixes. He reached his 150 off 83 balls with 13 fours and 11 sixes. In the very next over, Watson thumped 3 sixes and 1 four in an over bowled by Abdur Razzak. From a mere 27 balls, Watson jumped from 100 to 185 not-out off 96 balls with 15 fours and 15 sixes. Australia reached the target of 232 in just 26 overs. Watson could have got to his double hundred while chasing had the target been around 250. In the end, he finished up scoring 80% of his team’s total with an individual strike rate of 193. Watson’s innings went unnoticed as it was against a weak team like Bangladesh and that too while chasing a modest total. Nonetheless, it was one of his typical murderous innings. Greatest combined all-time India-Australia XI In ODI Cricket.